So why isn’t she happy? Maybe it’s the whispers and stares that follow her wherever she goes, as the daughter of the traitor waging war against Lightspire. Or maybe it’s the memories of her beloved brother, Jax, who lies cold in his grave even as she tries to settle into a life in the city's prestigious University. Then, Tilla stumbles upon the body of a classmate, a friend. The authorities are quick to rule it a suicide and sweep it under the rug, but when Tilla herself is attacked by a mysterious man with terrifying powers, she’s convinced of a conspiracy. Her friends beg her to stay silent; what she's suggesting is impossible... and treasonous. 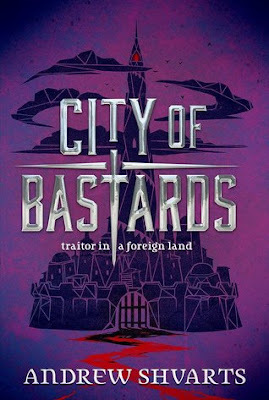 I have been curious to get my hands on City of Bastards by Andrew Shvarts ever since I finished the first book in the series, Royal Bastards, last summer. After that ending in the first book, I was super curious to know what was going to happen next for the characters in this story. I'm thrilled to have finally read the book, and now I need book 3 asap! So, as I mentioned in my review for the Royal Bastards, I love that this series has some pretty awesome characters in it, and I'm so glad we get to see almost all of the people we love from the previous book once again in this sequel. I don't know about you guys, but heroines in the story are definitely my faves. Tilla and Lyriana prove time and time again that they can definitely take care of themselves, and I kind of love this for them. Don't get me wrong, the guys in the story are great, especially Zelll, but it's the ladies that really make this story pop. The storyline for the book follows along the same line as the previous book, though the setting is completely different, and that was interesting. It seems like there may have also been a lot more action in this sequel as well. I was almost to the end of the book when I started wondering if this series was a duology, or a trilogy, and I'm surprised that I forgot to check beforehand. Considering the book definitely leaves you hanging, I realized that there would be a third book, and I will definitely be keeping my eye out for new information on that. Overall; City of Bastards was a really interesting sequel to Royal Bastards. 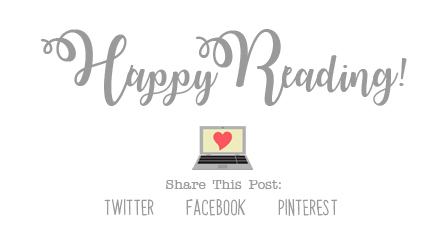 The book is full of really great characters, and the storyline has lots of great twists and turns that will keep you guessing as you turn the pages. I will most definitely be keeping my eye out for the third book, which is currently untitled, but set to release sometime in 2019. I can't wait to see what will happen next!